We’ll have more urban violence coming up, but deep inside the Chiquibul Forest, a trio of Guatemalans was detained after being found with a quantity of suspected cannabis in the area of Ceibo Chico. On Saturday, a detail of law enforcement officers, including members of the Belize Defense Force, the Belize Police Department and Friends of Conservation and Development, was conducting a foot patrol in an area eight kilometers east of the Belize/Guatemala border when the men were encountered. They have since been identified as Juan Che Zuc, Pablo Martinez and Jeconias Che Xol, all from Narajon, Dolores Peten. They were found in possession of three hundred and sixty-six grams of suspected marijuana. News Five spoke by phone with Acting B.D.F. 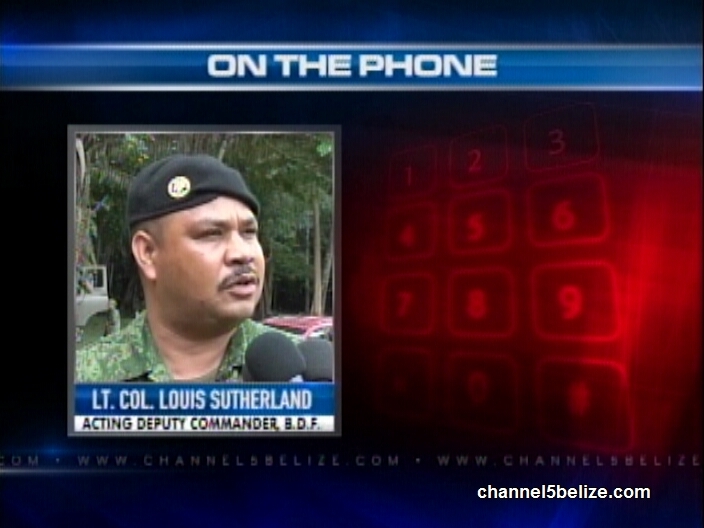 Deputy Commander Louis Sutherland says charges are pending on the trio. 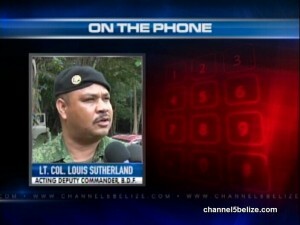 On the Phone: Lt. Col. Louis Sutherland, Acting Deputy Commander, B.D.F. It is expected that the Guatemalan men will also be charged for immigration and forestry offences.